“Still remarkable in innovation and surprise after all this time” – Martin Wishart’s Leith venture remains a haven of “culinary wizardry”, with “wonderfully imaginative” but essentially classical cuisine, “superbly served” in a room that’s “been attractively updated” in recent times. Top Tip – “go for the bargain lunch to eat some of the best food in Britain”. Martin Wishart’s “brilliant Leith establishment” was again voted by reporters as Scotland’s top gastronomic experience (despite taking rather more flak this year for punishing prices). “What makes it special is that isn’t gimmicky” – food that’s “adventurous but never wacky” is “just beautifully created from the best seasonal Scottish ingredients, and served by professionals in an ambience of calm and relaxation”. “Words cannot describe how good the food is here!” – Martin Wishart’s Leith venture inspires a hymn of praise from reporters who again rank it as Scotland’s top gastronomic destination. 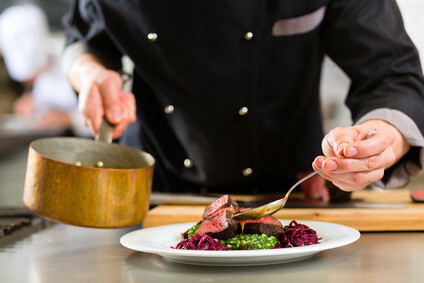 “Helpful and highly polished” staff deliver “plate after plate of exquisite, precisely executed dishes” that “combine lightness of touch with depth of flavour”, while “the wine pairings work wondrously too”. Have you eaten at Restaurant Martin Wishart? 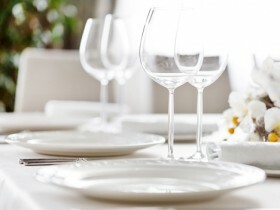 Reviews of Restaurant Martin Wishart Restaurant in EH6, Edinburgh by users of Hardens.com. Also see the editors review of Restaurant Martin Wishart restaurant. "A glorious celebration of Scottish fare. A restaurant for special occasions With helpful and welcoming service"
"A perfect and superb culinary experience. The tasting menu is excellent with flavours to really enjoy. The halibut ceviche was to die for. An outstanding evening." "Very high standards - savoury macroons bonne bouche sets the bar high. Unfortunately the main course did not live up to expectations- maybe this was par for the course for the set lunch. But overall good for the price. Expensive wines." Post your own review of Restaurant Martin Wishart and contribute to our annual restaurant review guide.